With more than half a million people living in Glasgow, the city is the largest in the country and one of the largest in Britain. As one of the most overpopulated areas during the 1950s, population has almost halved since this time and the city has regained its lost architectural beauty. 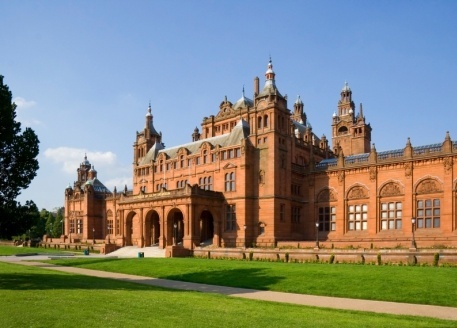 Glasgow, often mistaken as the capital of Scotland, is the largest city in Scotland. From its humble beginnings as a fishing and farming village, the Clyde-built city grew to become a trading powerhouse of Europe and the world. Glasgow has experienced much of its success due to its location on the River Clyde, the Firth of Clyde and proximity to the Atlantic. Contemporary travel and trade to the city largely comes via road, with Glasgow connected to the M8, M74 and M77 motorway networks – leading to southern cities and England. Edinburgh is just a 40 minute drive from Glasgow, whilst Carlisle and Newcastle are both within a 2 hour journey. Travel to the southern cities of England, including London, is often taken by a 90 minute flight. There are two airports within 30 miles of the city, whilst the larger airport at Edinburgh is also within an hour’s drive for more destinations. The ‘Greater Glasgow Urban Area’ which includes towns and small cities in the catchment area – totals around 1,200,000 people (the official travel-to-work zone houses more than 2,300,000 people.) With the expansion of the European Union, Glasgow has become a much more multicultural place to live – with Pakistanis, Indians, Bangladeshis, Chinese and Polish communities springing up around the city. 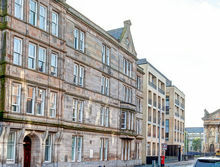 Glasgow has an estimated full time student population of 80,000 and with three major universities in the city, the student numbers will continue to grow, which presents many opportunities for student property investment in Glasgow. It has a reputation for one of the most popular and rewarding locations for students, both domestically and for students travelling from overseas. 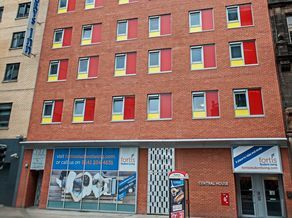 For investors looking for student property for sale in Glasgow, we have a range of options to suit a variety of budgets. Glasgow became a key player in world trade during the 1700s; something heightened and intensified during the next 200 years and the coming of industry. Modern Glasgow is very much a business city, only London and Edinburgh of higher GDP Per capita in the United Kingdom. More than 12,000 companies sustain almost half a million jobs. Sport also plays a key role in the character of Glasgow, with Celtic and Rangers football clubs involved in one of the most hotly contested local derbies in the sport. The traditional industries of engineering, distilling and shipbuilding still continue within the city – though not to the heights of pre-Industrial Scotland. 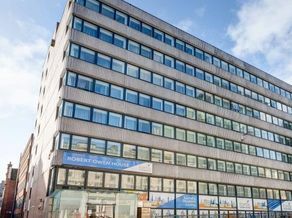 For more information about any of our student accommodation investments in Glasgow, contact the team at Hopwood House today.